Join artist Margaret Alarcon and learn the art of drypoint to create an edition of prints using traditional printmaking practices. Participants will learn how to transfer their photos or designs on a plexiglass plate to develop drawing skills and express their ideas through the intaglio process. This workshop is designed for a group of up to 13 people, for ages 12+. Participate in an introductory two-day workshop on drypoint technique with artist Victor Rosas. Participants will carve an image into plexiglass to create a miniature 7x5" portrait print. We encourage participants to bring several images of a loved one to create a series of portraits. This workshop is designed for a group of up to 10 people, for ages 12+. Youth must be accompanied by an adult. Registration is required. Registration is required. Please register online here. Learn how to screen print with SHG Artist-In-Residence Dewey Tafoya. Attendees are required to bring two transparency copies of an original black and white image, no bigger than 8 1/2" X 11" (inches), as well as paper and a blank t-shirt or flat textile to print your silkscreen artwork. A limited number of screens will be available for purchase at each class if you wish to keep your screen for future use. This workshop is designed for groups of up to 20 people for ages 12+. Minors must be accompanied by an adult for the duration of the workshop. Registration is required. Please register online here. Learn about this and upcoming workshops atwww.selfhelpgraphics.com/workshops. This workshop is designed for a group of up to 10 people, for ages 12+. Youth must be accompanied by an adult. Registration is required. Please register online here. Learn about this and other workshops at www.selfhelpgraphics.com/workshops. Join artist Victor Rosas in creating a series of multi-colored direct monoprints inspired by insects in this two-day workshop! After exploring different approaches to color and technique, participants will assemble the prints into a portfolio. Please bring a few images of insects as a reference to guide your design. 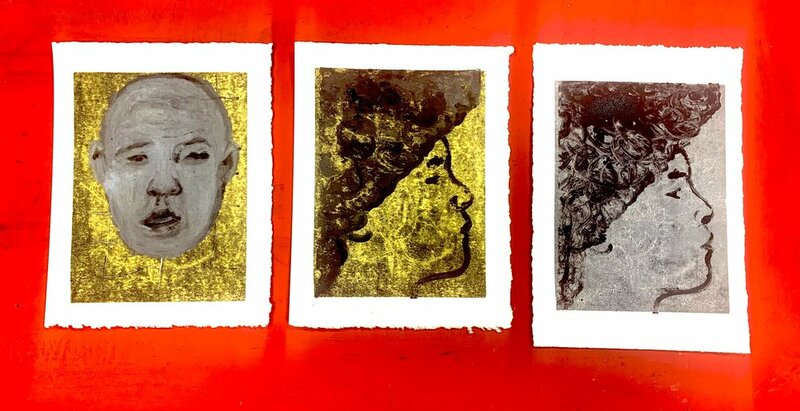 Create a mini 7 x 5" series of prints with Artist Victor Rosas. Learn about the chine-collé technique that will result in a two-layered colorful design. This workshop is designed for a group of up to 10 people, for ages 12+. Join artist Margaret Alarcon to learn the art of drypoint. Participants will learn how to transfer their photos or designs on to a plexiglass plate. Learn how to develop your drawing skills and express your ideas through the intaglio process. 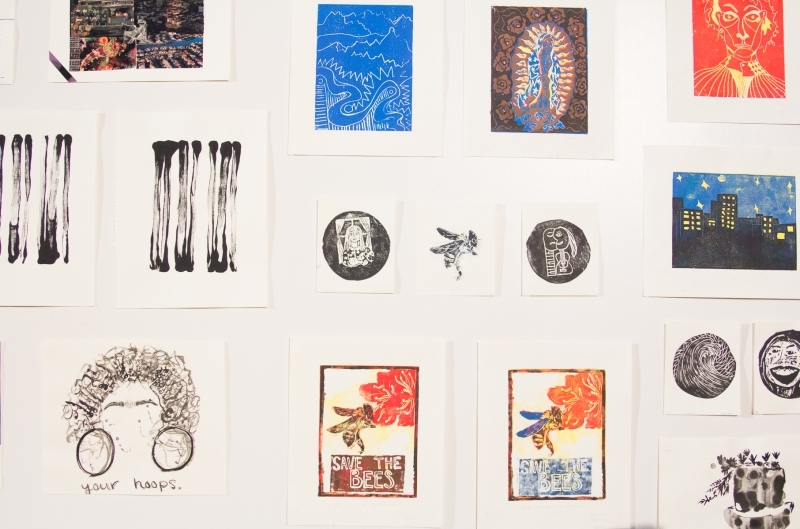 Participants will create an edition of prints using traditional printmaking practices. Our one-day Do-it-Yourself workshop teaches participants how to print using a stencil and/or photo processes. Participants will transfer their designs or photos onto a screen. Prepared screens can be used to print on a variety of surfaces including paper, textiles and clothing. With this class, you can make posters, fine art, print tote bags or t-shirts. Attendees are required to bring two copies of either a photo or design printed in black and white on transparency sheets (acetate/transparency film for inkjet printers). The printouts should measure no larger than 8-1/2 x 11 inches. A limited number of screens are available for purchase. Participants are encouraged to bring paper, blank t-shirt(s) or tote bags, on which to print their designs. Activate new methods of storytelling with artist Rosalie Lopez’s Paper Flowers Workshop. Learn to interpret memories and knowledge from your own life, family, or someone you know and turn those memories into paper flower altar sculptures. This workshop stems from the Virtual Altar Project, which Rosalie began in 2015. V.A.P. is an ongoing FB and Instagram archive that uses portraiture and storytelling to share the strength of collective voices and builds cross cultural connectedness. *Please note minimum registration of 5 participants is required for workshop to take place. Design your own T-shirt with artist Victor Rosas. Learn how to transfer your design onto a linoleum block. Participants will learn how to carve their blocks and print those designs onto t-shirts. *Note: Please bring two light colored 100% cotton t-shirts, to fully absorb the ink and a 9 x 6 inch design. Please complete the form to register for this six-week series. Learn how to Screen-print with artist Dewey Tafoya. Attendees are required to bring two black and white photographs / images printed on transparency film. The image should be no larger than 8 1/2" X 11". If you would like to take your screen home with you to make additional prints, a limited number of screens are available for purchase. Participants are required to bring paper or a couple of blank t-shirts on which you will print your image. Screens and ink are provided by Self Help Graphics & Art. Come create a portfolio of miniature portraits with artist Victor Rosas using the direct painting method on plexiglass plates. The multilayered multicolor process adds depth and texture to your artwork. Please bring a portrait to use as a guide for your prints. All materials provided by Self Help Graphics & Art. 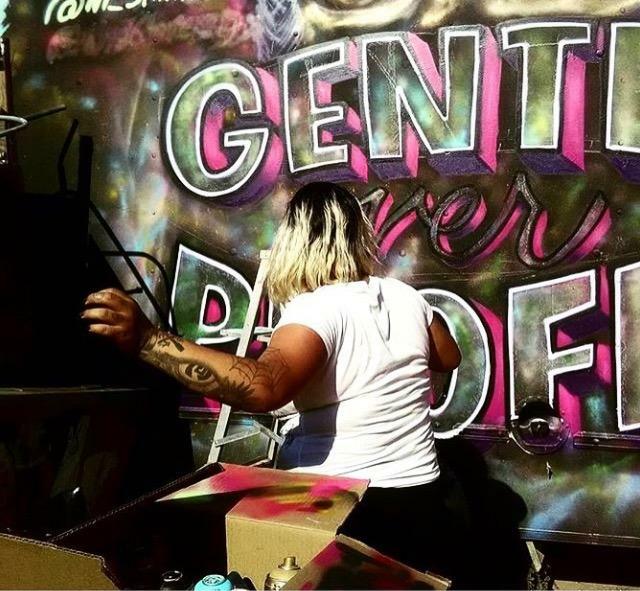 The Aerosol Art Workshop focuses on teaching participants of all levels and ages how to create artwork using aerosol paint and other painting tools used in creating aerosol based art such as paint markers, color pencils, sharpies, stencils, and stickers. Participants who attend the Aerosol Art Workshop will develop their work by sketching out ideas at the beginning of the workshop. A quick critique of the sketches precedes the participants gathering outdoors to create and paint colorful works of art. Participants are able to create these colorful artworks SHG by learning how to conceptualize designs, composition and the use of space from a squared canvas to irregular shapes such as a found street objects. Participants also learn color design by mixing and matching color palettes, blending colors for the design but also balancing the design with its immediate surrounding landscape. RSVP at the Eventbrite link provided. The workshop is an entry level session where participants will learn the basic of color pencil drawing techniques. Please bring a photo (8x10 inches). In conjunction with: Día de Los Muertos: A Cultural Legacy, Past, Present and Future, artists Jerri Allyn and Nicole Rademacher present a workshop designed to empower the participants to make and record their own origin stories. Join them in touring the exhibition, creating stories, and making cards. This 90-minute workshop is designed to empower participants, to record their unique histories. Working in groups, they create an “origin story” of their choice using visual prompts. The workshop will begin with a brief tour through the Dia de Los Muertos exhibition which features a 4-decade history of visually striking prints, rituals and celebration. The artwork and altars cover a range of both contemporary and historical “origins” of this lively commemoration that occurs throughout the Americas. “Today’s interpretation of the sacred indigenous tradition (in the United States) has been remixed and recycled into a commercial holiday blending Mexican, Latino and American pop culture iconography with the spiritual aesthetics of Dia de los Muertos’ indigenous and Catholic influences.” - catalogue. This workshop is recommended for youth and adults ages 12 and up. Nicole Rademacher, as a Mexican American adoptee, has recently turned her art practice to also encompass community engagement. Rademacher facilitates workshops with the adoptee constellation: building works collaboratively and creating a space for discussion. Rademacher has exhibited and screened her work worldwide including an exhibition currently on view at LAX Airport. Rademacher currently lives and works in Los Angeles, California with her husband and toddler. Jerri Allyn, a Community Artist and Educator, creates interactive installations and participatory performance art events that often become a part of public life. She has exhibited internationally and been awarded a Rockefeller Foundation Residency, Italy; International Lila Wallace Fellowship, Mexico; and NEA grants. In 2015 Allyn produced Hidden in Plain Site: Creative Referendums to Human Trafficking: www.hidden-in-plain-site.com; and continues projects on this topic. Allyn is blessed with a large family immigrating from Ireland, Spain, Britain and Poland. Her 8 siblings have expanded their lineage to include partners from Asia, the Caribbean and Africa. Some have adopted children from Eastern Europe and Latin America. Modern life has the family living on 3 continents, yet they manage regular reunions. In this 20-week program for high school youth, students explore a mashup of disciplines while focusing on specific social issues. Participants may choose to collaborate with others in the class, or work independently to develop their own way of self-expression and make creative choices within the visual arts. Media includes but is not limited to various forms of printmaking, stop-motion animation, and digital video production. Join us for the Self Help Graphics & Art Barrio Mobile Art Studio Team at the 3rd Annual Eastside Sol - LA's first 100% solar ARTS and MUSIC festival!